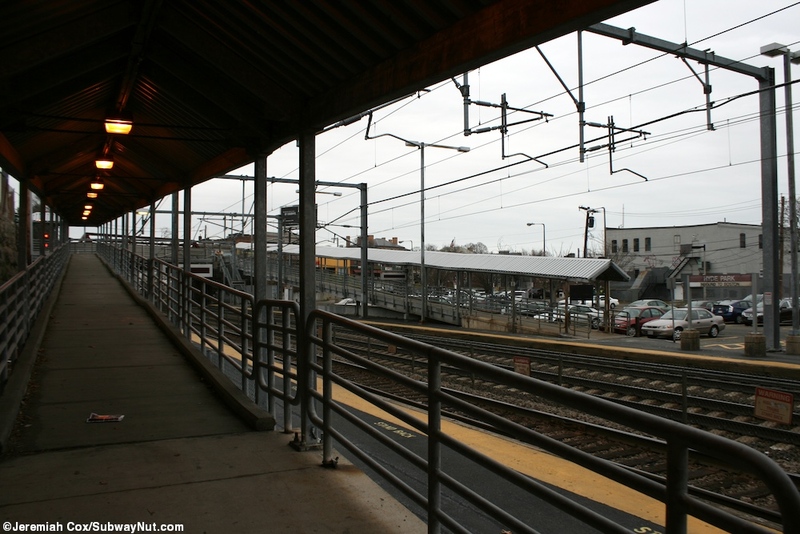 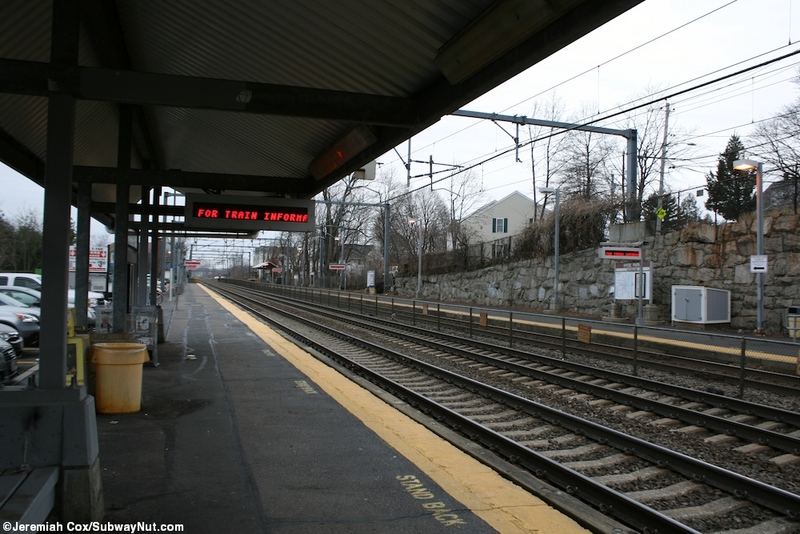 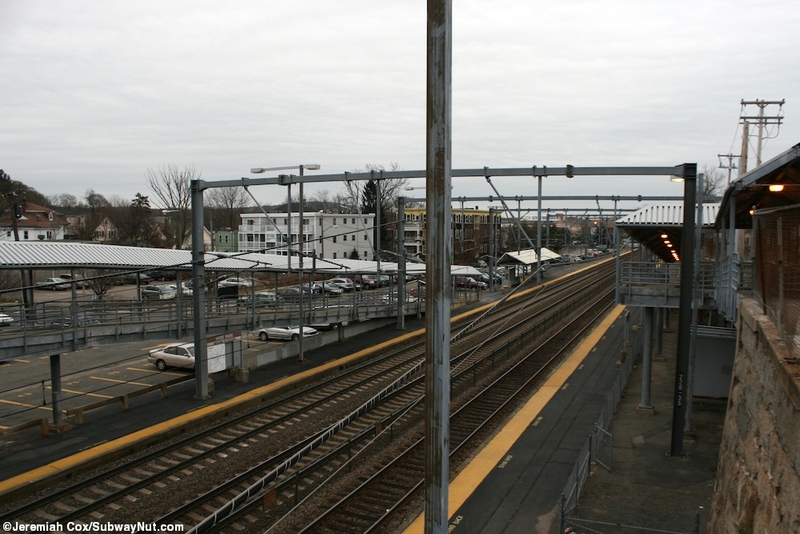 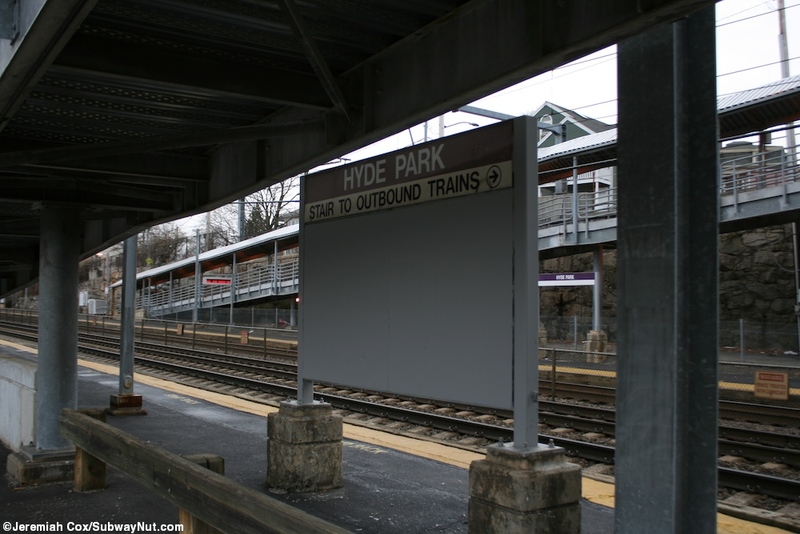 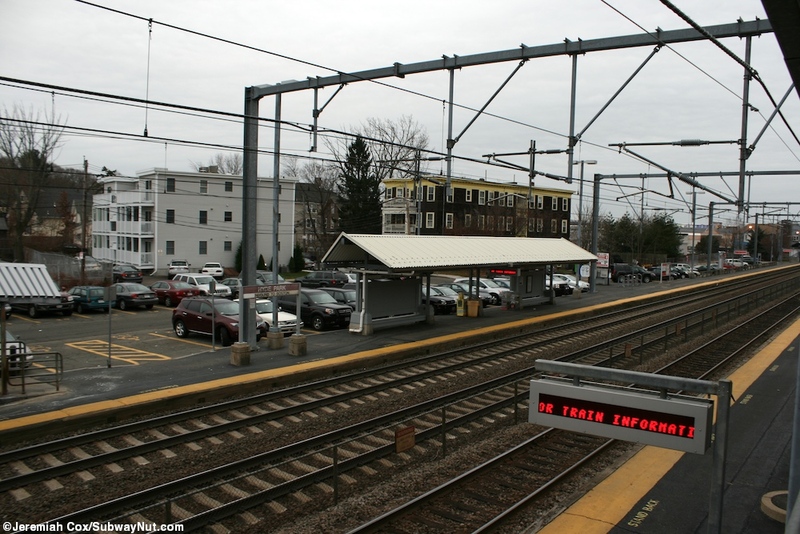 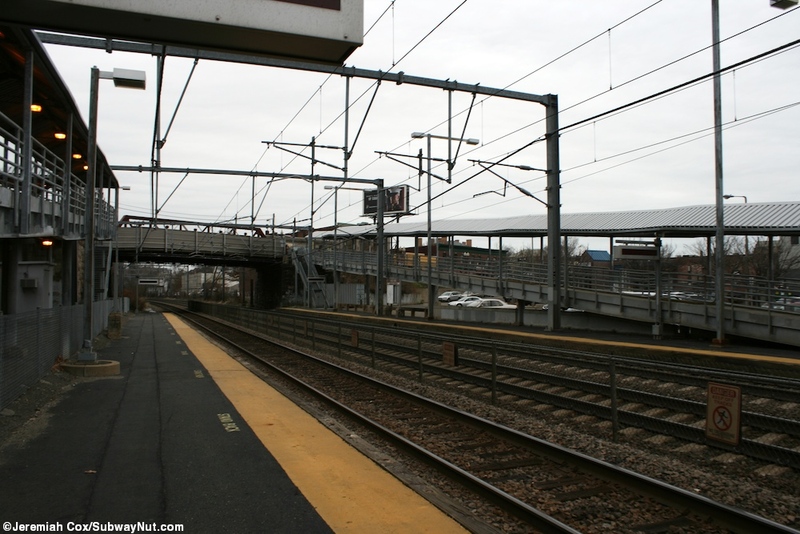 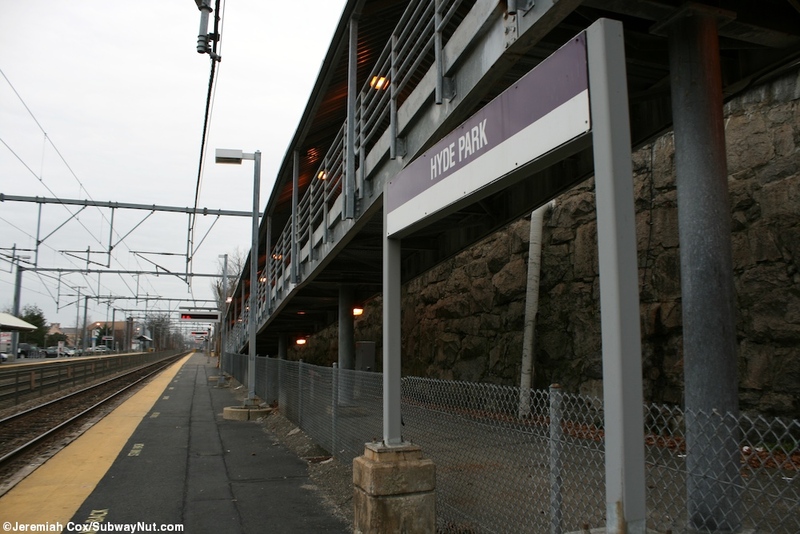 Hyde Park is a station on the 3-track Northeast Corridor, here used by the Providence/Stonington and Franklin Lines with Acela Express and Amtrak Regionals bypassing it. 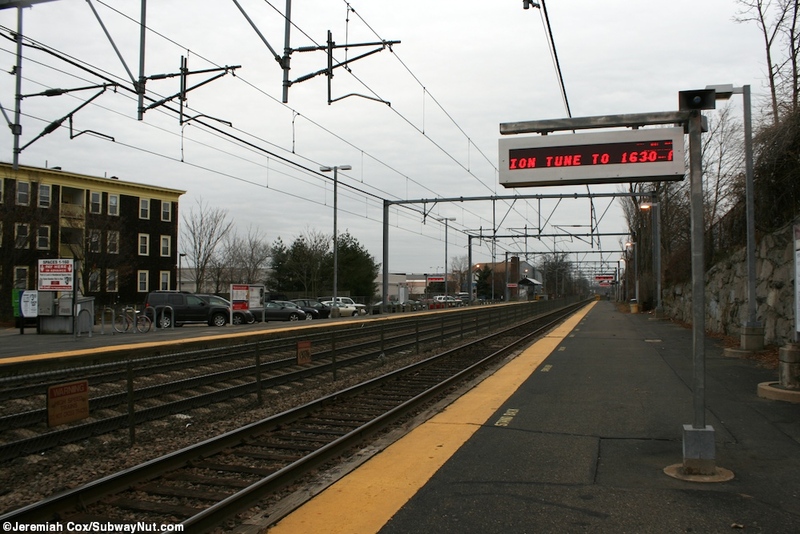 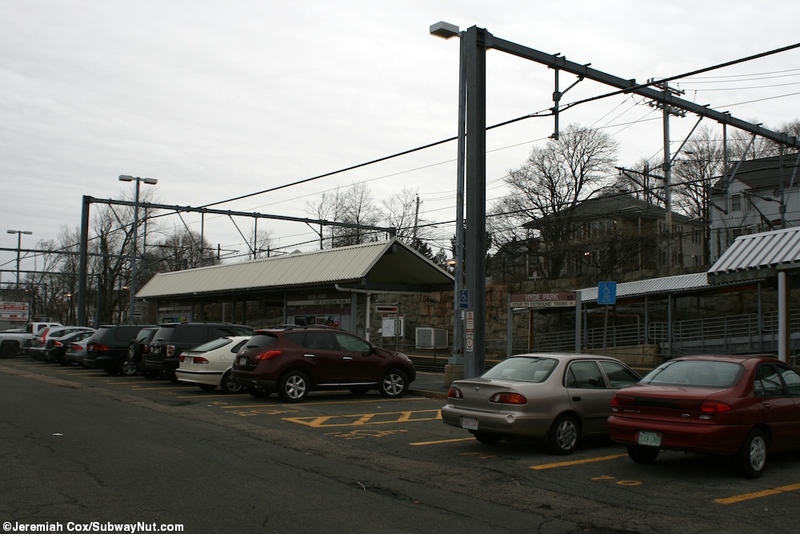 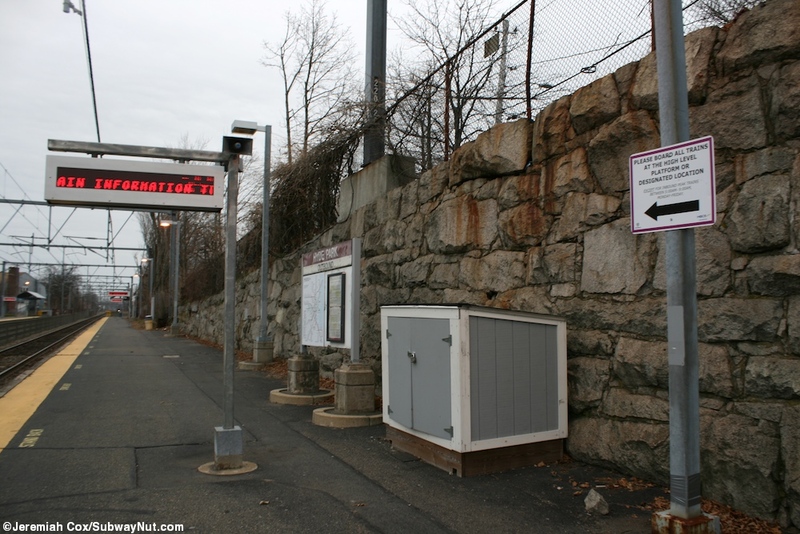 Service is provided almost entirely by Providence/Stonington trains with just a few Franklin Line trains stopping. 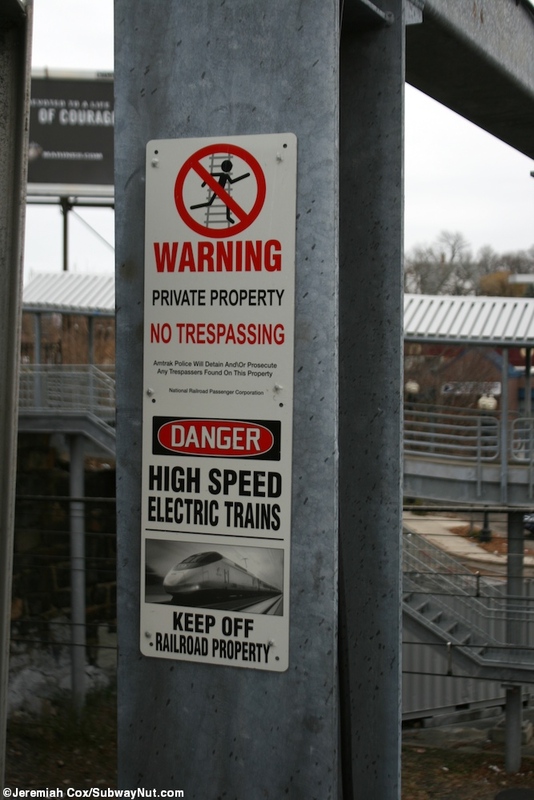 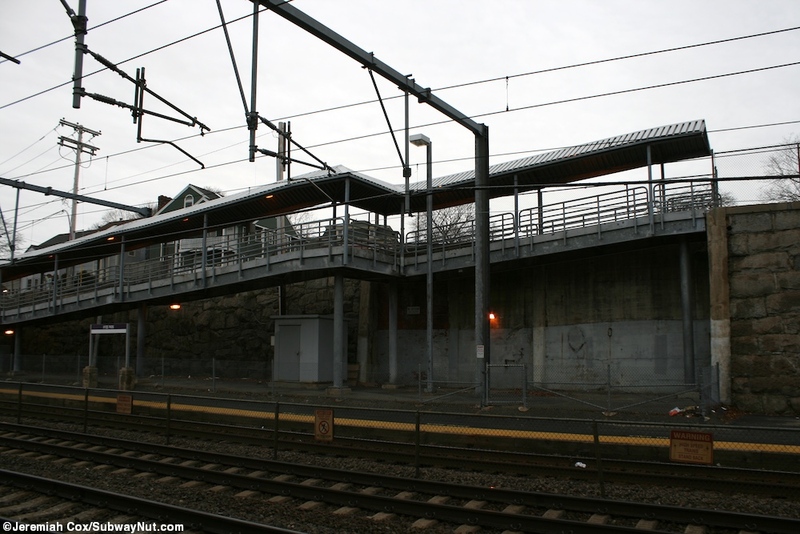 It has two low-level side platforms with the fence to prevent dangerous unauthorized crossings along the single outbound track. 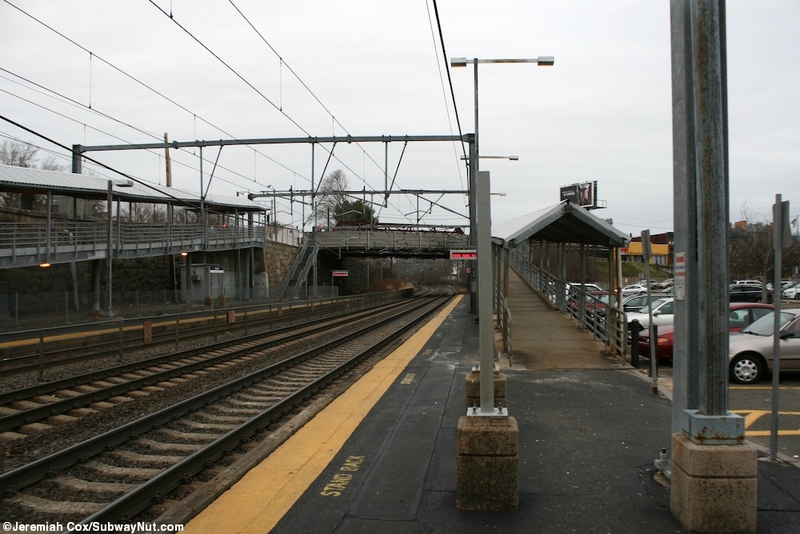 Both of these platforms have mini-high platforms at their southern ends for ADA compliance and this is also the off peak boarding area. 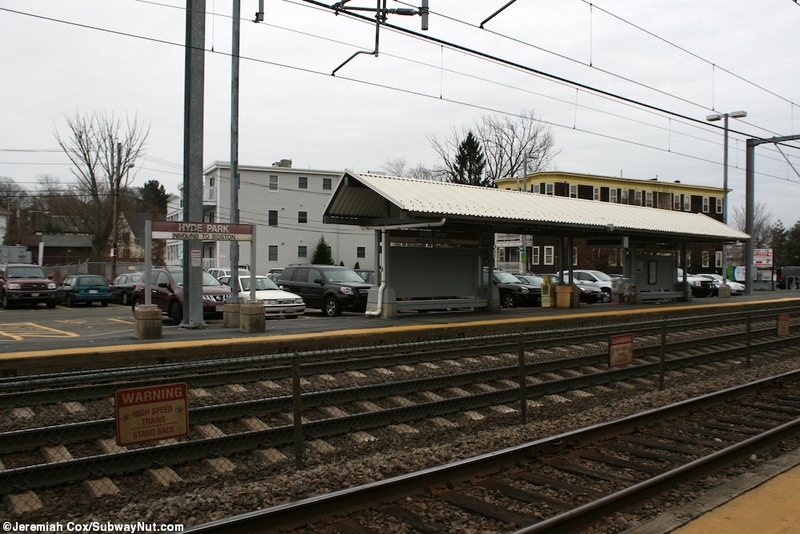 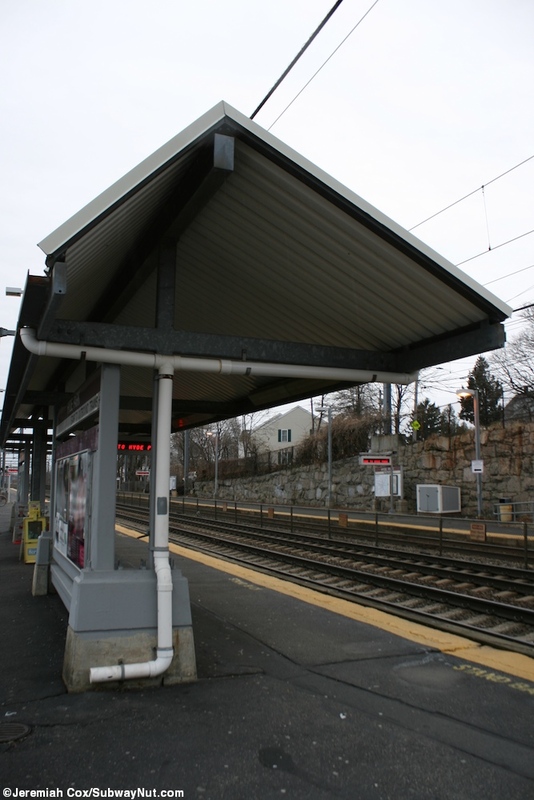 The outbound platform is left exposed to the elements but the inbound has an additional canopied bench. 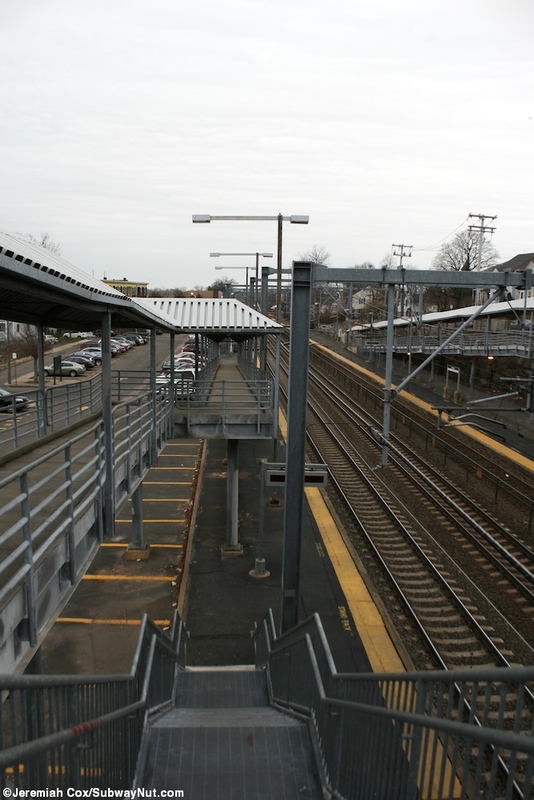 For access, the station is just south of the very old looking partially wooden overpass of River Street and each platform has a staircase and ramp down form it. 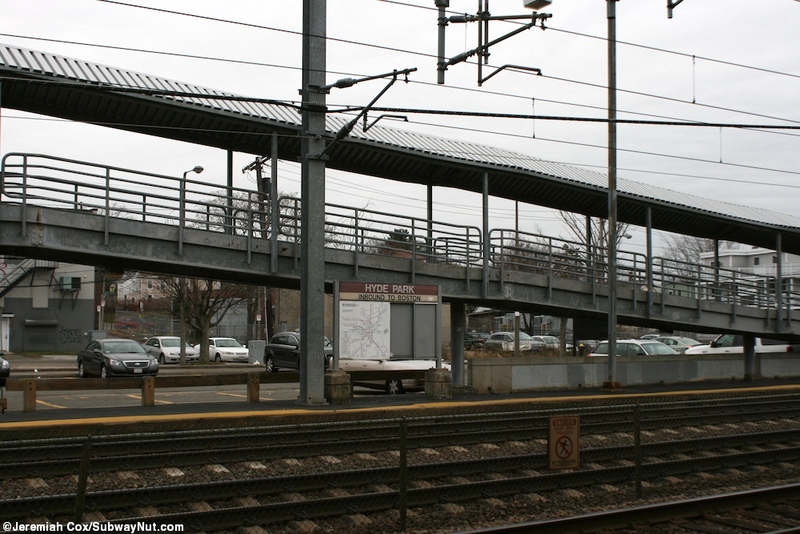 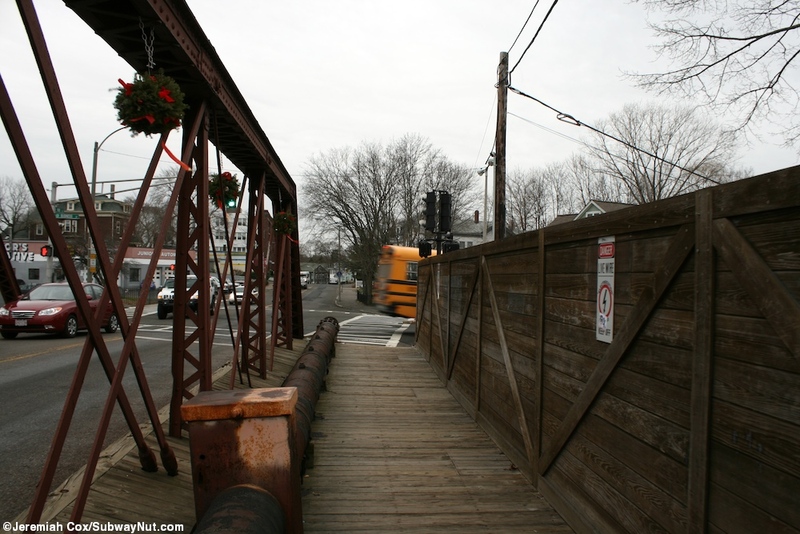 The sidewalk of this overpass is the only legal connection between the different sides of the station. 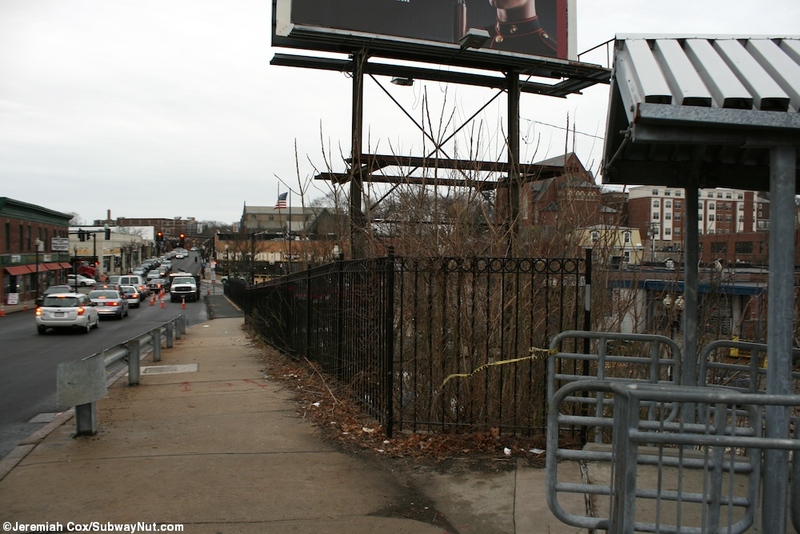 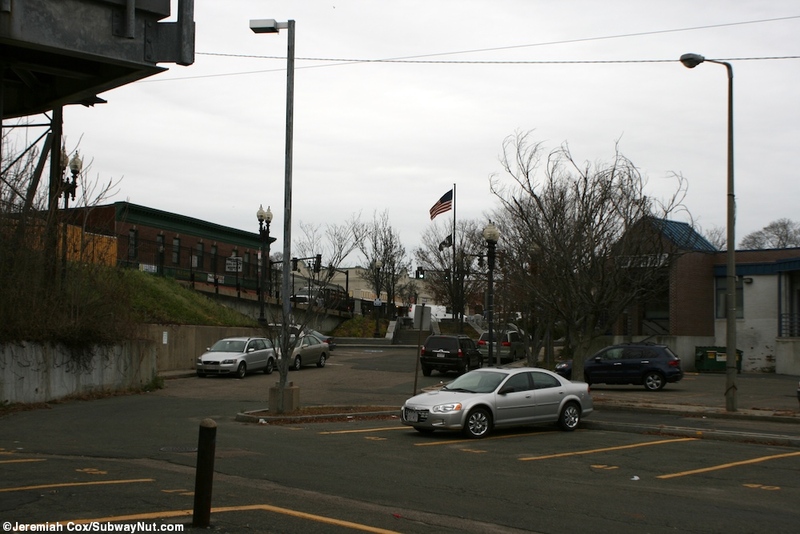 This is the only place for access to the outbound platform, while the outbound platform is along Jackson and Falsom Street where the stations 121 spot parking lot is.